Tsukinaga meets a new student attempting to reach her shoe locker; demonstrating her athletic ability she grabs the slippers with her feet! 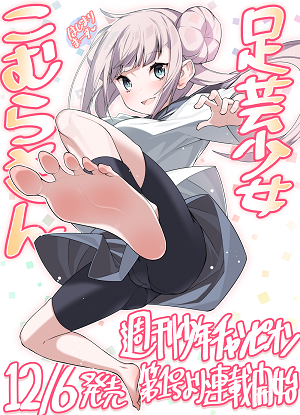 That's not all as Komurai Komura introduces herself to the class by writing her name with her foot! A barefoot love comedy has just begun!